Lyanda Lynn Haupt has created and directed educational programs for Seattle Audubon, worked in raptor rehabilitation in Vermont, and as a seabird researcher for the Fish and Wildlife Service in the remote tropical Pacific. She is the author of Pilgrim on the Great Bird Continent and Rare Encounters with Ordinary Birds (winner of the 2002 Washington State Book Award). Her writing has appeared in Image, Open Spaces, Wild Earth, Conservation Biology Journal, Birdwatcher's Digest, and the Prairie Naturalist. Winner of the 2010 Sigurd F. Olson Nature Writing Award, she lives in West Seattle with her husband and daughter. 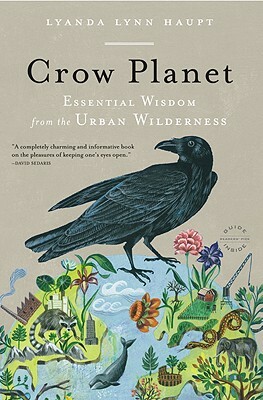 "Haupt enlivens her observations with tidbits from crow mythology and history [and] succeeds in humanizing the object of her naturalist obsession and affection.